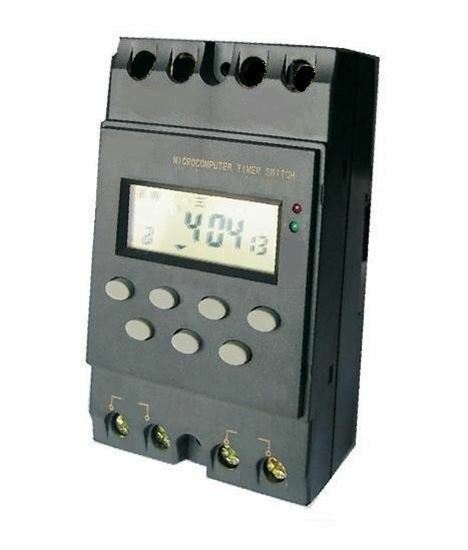 This 7 day digital programmable timer is ideal for use in any 12V DC appliance which requires automation. It can be configured to switch at up to 16 different times during a 24 hour period. In addition, it can be programmed to operate on a wide variety of days. eg. Daily, Week days only, Weekends only, Every second day, or selected group of days. The BRX12A25K allows for Switch-on and switch-off times to be set for each program. i.e. allows a different on duration for each program. The timer has three modes of operation. In the auto mode, the timer automatically switches at the pre-programmed times. In the on mode, the switch is always on regardless of the timer program setting. In the off mode, the timer will not switch regardless of the program settings. The mode of operation can only be changed when power is applied to the switch. In the event of a power failure, the switch retains its program data via backup battery. - Weekly & Daily Programming. - 16 independent events (ON-OFF) per day for a maximum of 112 ON-OFF events per week. - Manual override eliminates the need for an additional helm switch. 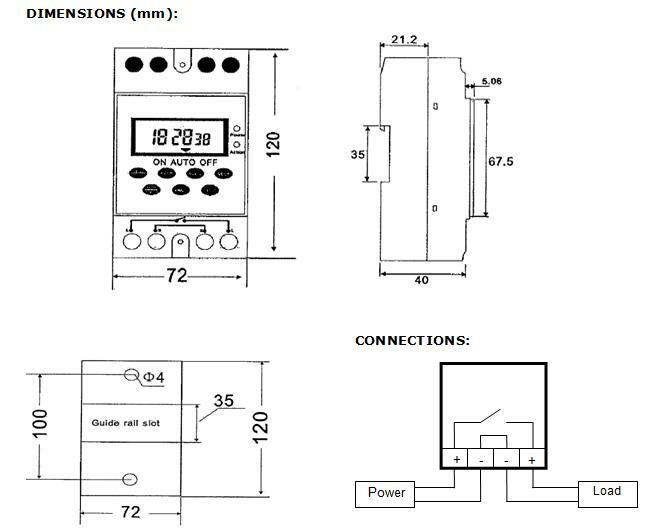 - A 25A fuse is strongly recommended for each installation as it will assure a long life for the timer as it will avoid overload of the system. - Hablamos Español. - Nous parlons Français.